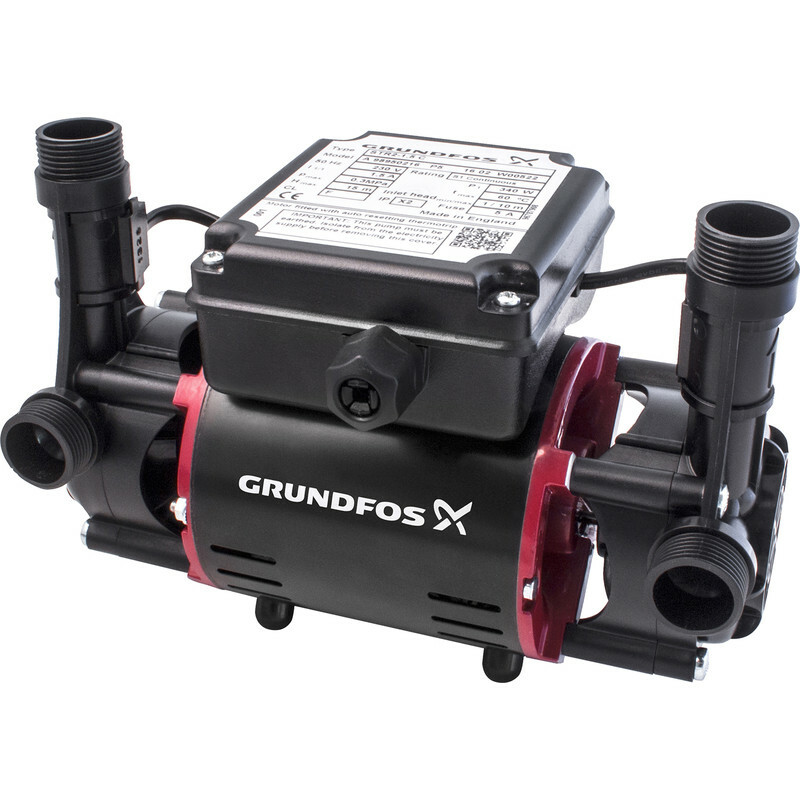 Grundfos STR2 Twin Impeller Regenerative Positive Head Shower Pump 1.5 Bar is rated 4.0 out of 5 by 1. Rated 4 out of 5 by Princeherbert from Quiet and powerful A quiet and powerful pump and hope it will last longer than that last two Salamander pumps I have had. One thing to beware of is that this pump is intended to have 22mm pipework on the inflow and outflow. If you only have 15mm pipework you will need to reduce down inorder to connect onto the pumps flexible connections.